All elements of the fence must be distinguished by durability, resistance to significant climatic loads and to possible mechanical damage. In the article we will understand from what material to choose the columns for the fence. Wear and the durability of the enclosing elements directly depend on the correctness of the preparatory work. 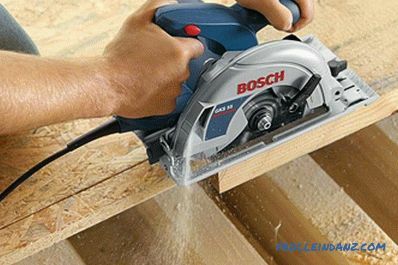 First of all, it is necessary to choose materials for its facing, to determine the height of the structure and its design loads. 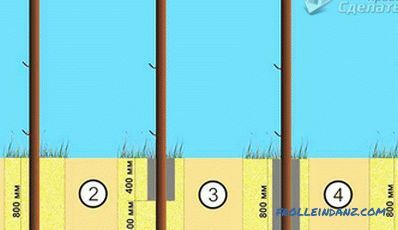 The choice of support pillars for the construction of a supporting fence structure depends on numerous factors: features of the site’s topography and soil type, design of the fence and selected materials, service life and level of protection. Also important is the length of the future structure, the width of the spans and the height of the fence. The supports can be part of lightweight columnar foundations or form part of monolithic strip bases. Let's pay attention to the rules of using metal, brick and wooden pillars. 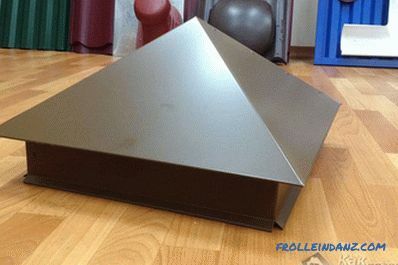 Modern metal support structures during installation and selection of elements are designed for significant wind and mechanical loads, they are characterized by increased rigidity and durability. 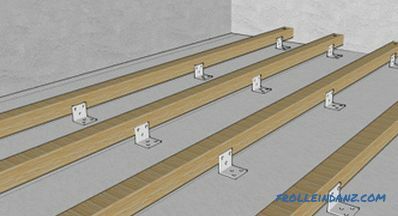 One of the main advantages of bearing elements made of metal is the ease of transportation and storage, the absence of complicated preparatory work and ease of installation. For the production of metal pillars, a profiled tube of various lengths with a section of 40x60 mm is used. For fences with a heavy design weight, select pillars from another series of blanks or a pipe of a larger section. Metal poles with wrought iron elements of fences and gates, with profiled sheets or various types of chain-link mesh look harmoniously. 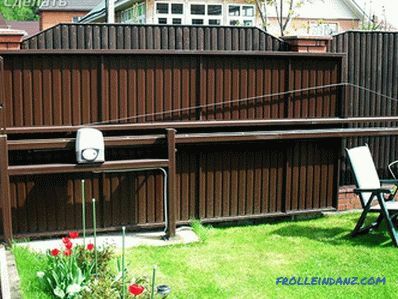 Metal poles used as the base of wooden fences or combined structures of metal and plastic are very popular. To create a harmonious and stylish architectural ensemble, fences of various types of wood are often erected. The main thing is to pick up the pillars without visible defects and damage: cracks, chips, knots and other flaws. 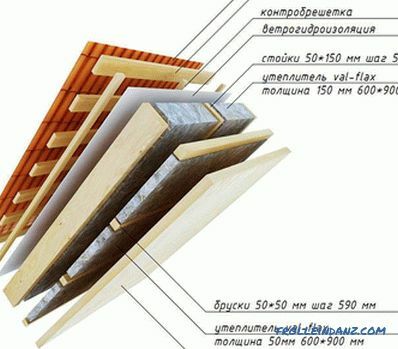 Section and height of supports of wood depend on the design of the fence and its length. It is important at the stage of preparing wooden poles for digging to make a thorough treatment of the blanks with special antiseptics. 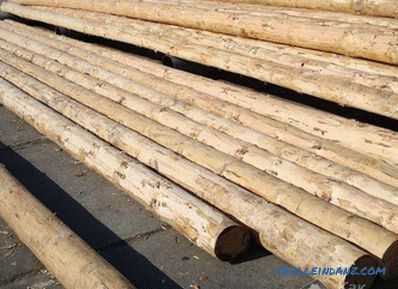 The base of wooden pillars, immersed in the ground, it is recommended to protect from the negative effects of moisture with roofing material or other types of insulation materials. 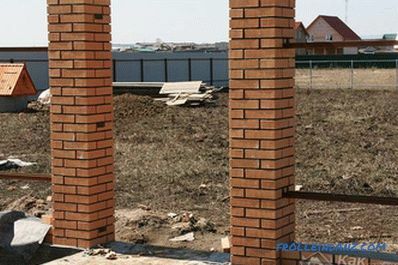 Brick supporting elements are among the most durable and attractive types of pillars. They are harmoniously combined with various construction and finishing materials, the main buildings in the suburban area and landscaped buildings. Brick pillars are made of facing brick in the form of equilateral columns. Special attention should be paid to the preparation of the foundation and adherence to bricklaying technology, since any violation or error can lead to cracks and shrinkage seams, and in particularly difficult cases to partial or complete destruction of the fence. 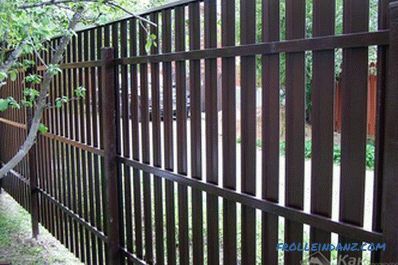 The heavier the fence structure of the fence, the more powerful and reliable the foundations should be. When choosing the type of base, it is necessary to investigate the condition of soils in the suburban area and analyze the features of the relief. Under brick fences or combined fences with brick pillars, as a rule, they set up a solid monolithic foundation for the calculated soil freezing depth in the region (usually at least 1 meter). 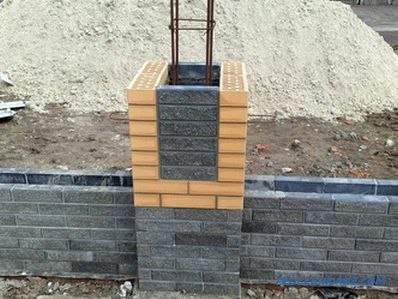 The optimum cross-section for masonry work to obtain a 400x400 mm column is selected 1.5 bricks. 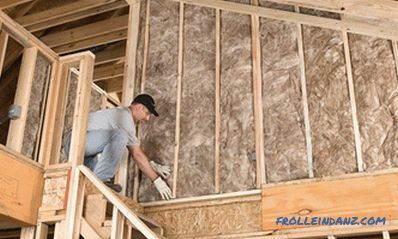 After several masonry joints, experts recommend laying a special bonding mesh. The most traditional height of brick supports is 2-2.5 meters. The supporting pillars are finished with a protective cap of concrete or metal from the weather when the masonry is finished.